I think this year has been one of the better trips we have had. For me, it feels like the first time we have really seen that there is “an end is in sight”, in terms of what we had thought and dreamt about 20 years ago. When we talked 20 years ago we said it would take us 5 – 10 years to establish a cardiac surgery service here that would be self-sufficient. It’s only now that we can really see that’s actually tangible. There will be a change in tactics for future visits to PNG, there will be a much smaller teams of 6 – 8 people that will come 3 – 4 times a year to provide more education and individual support to the practitioners that are here. We have trained two surgeons, we are now training a third one, they can do simple procedures, but we can give them exposure on a one-to-one basis without the pressure of putting so many cases though. From my point of view, coming initially was to give something back to the health system; the same system has given me a lot. Now it is a developmental process of getting a service up and running here. We have identified the leaders and our main role now is to certify that they are capable of doing of this work. They get qualified. We set the standard for what they have to achieve. We are able to empower the local practitioners by giving them a degree from the University of Papua New Guinea, which is different from any other health professional. 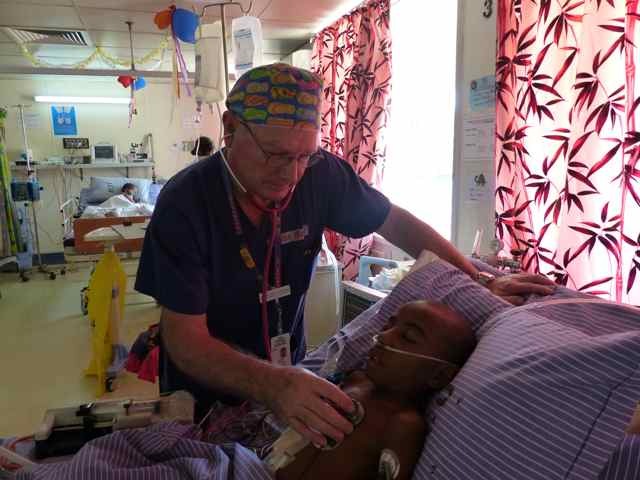 For example, Dr Arvin Karu (local PNG anaesthetist) is trying to pass his examinations. Once they have this degree they can do the work, then they become teachers, and the people who select the next set of trainees. They are given control of their own environment. They make the decisions about who comes in and works with them and they are the ones who decides what the team build will be. I think what has impressed me the most is the degree of dedication and persistence that I have seen from the pediatric medical team lead by Professor Tefuarani. They have shown leadership and vision second to no other team in this hospital. That’s why they have a maintained a very stable and very effective and competent work force. 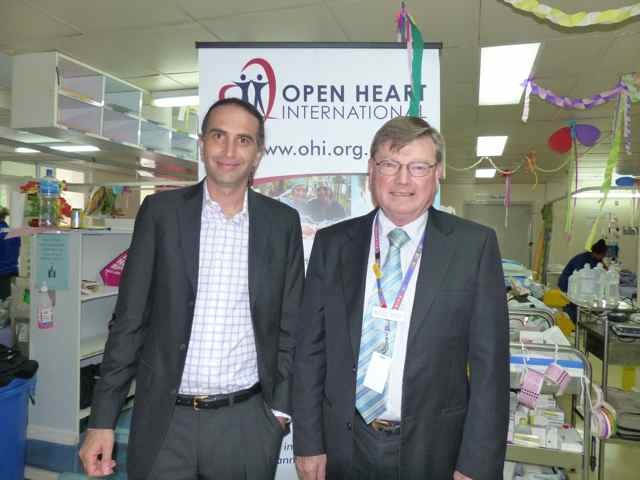 The other thing that has impressed me is the blind faith that the surgeons and the anaesthetists had in Open Heart International to develop a system for them to be able to complete open heart surgery. The success of this whole process is due to governments support, both Australian and PNG, but more than that is the support of the local health professionals here in PNG, and their passion and commitment to developing their own surgery program.